Everyone likes change. Variety is the spice of life, so they say. 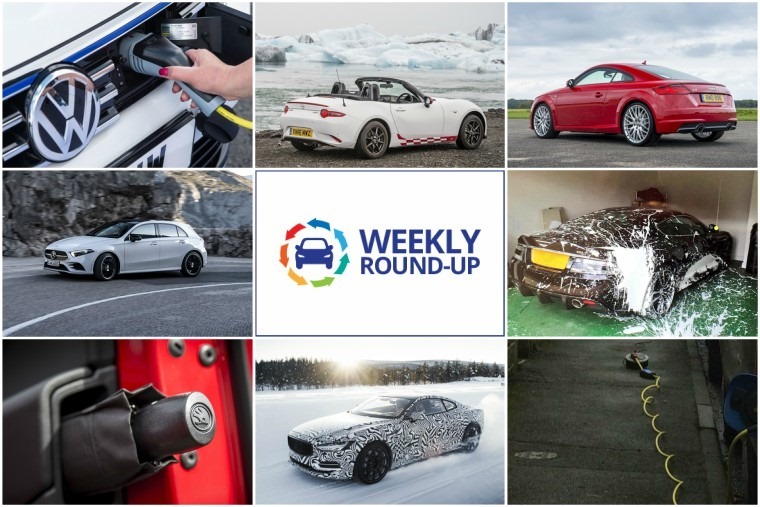 We thought we’d try something a bit different with the round-up going forward, bringing you automotive-related bits from here there and everywhere. Starting off, it has not been a good week for the eco-minded folks out there. Over in the States, Tesla has halted Model 3 production for the second time this year in order to iron out bottlenecks on the production line which, ironically, are being caused by “excessive automation”. That word is starting to seem more and more like an albatross around Tesla’s neck as time goes by. In the UK, our desire for hybrids has resulted in Volkswagen not only having to cease taking orders for the Golf GTE but now the Passat GTE has fallen victim to the same fate. 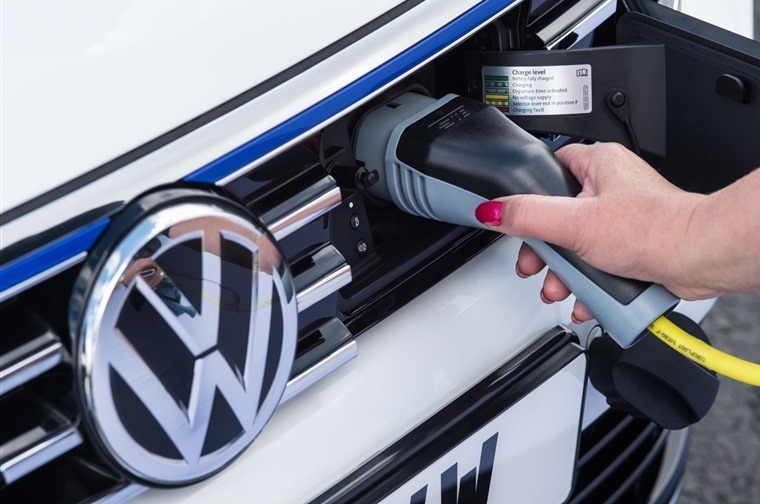 Proving if nothing that consumers are more than willing to move to hybrids if manufacturers can mass-produce more hybrid variants of already popular models at an affordable rate. Unfortunately, they appear to have become a victim of their own success. 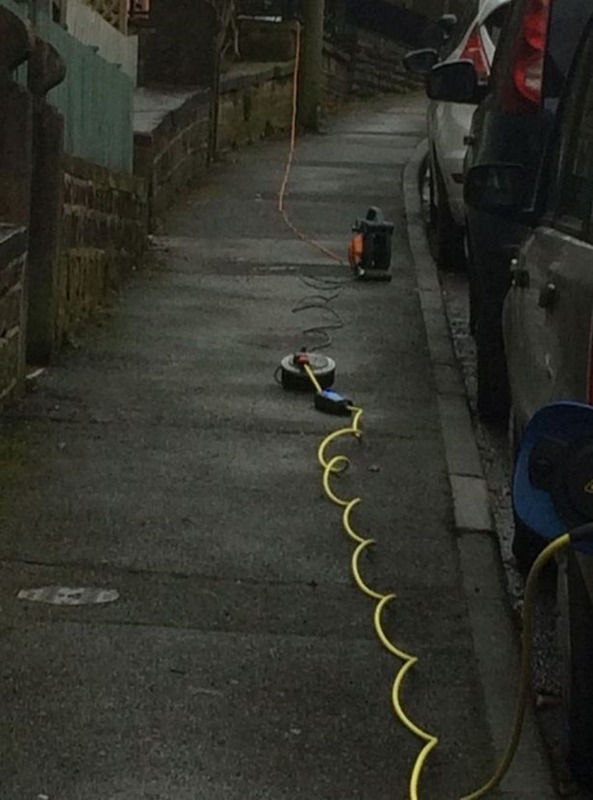 Yep, one electric car owner in Slaithwaite, a village in West Yorkshire, has sparked a health and safety row by trailing his charging cables 30ft from his vehicle to his house, using multiple extensions. Talking to the Yorkshire Examiner, the owner said it was not always possible to park right outside his home or charge his car at other locations. Who said electric infrastructure was improving? Hopefully scenes like this will be a thing of the past by the time the Polestar 1 arrives. Test drivers and engineers recently spent two weeks north of the Artic Circle to examine and fine-tune suspension and driving dynamics, but in the case of the Electric Performance Hybrid the drivetrain and batteries were also under close scrutiny. “This is a driver’s car. We have now passed a major milestone in the development of the Polestar 1, and prototype testing continues throughout 2018.” commented Thomas Ingenlath, chief executive officer at Polestar. Needless to say, we’re excited. We try to help out as much as possible regarding what you want to lease or what you can afford via our various budget-related top fives but we’ve gone a step further this week to dial it in even more. 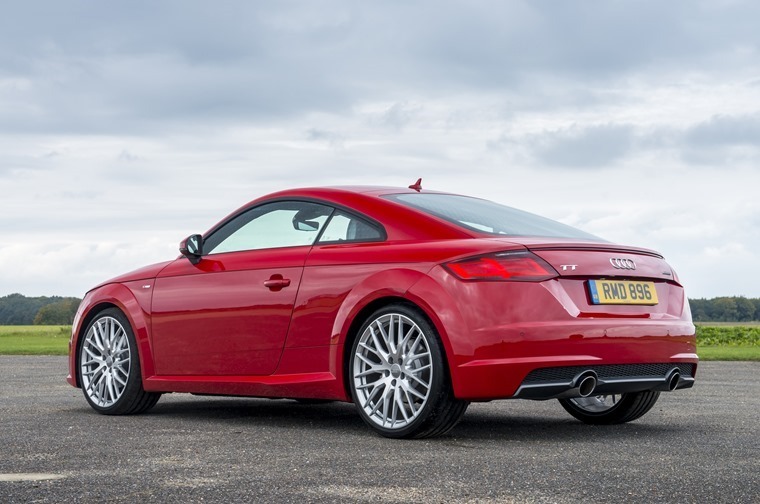 Going even deeper than that, as Audi are one of the most aspirational brands out there we thought we’d try and pull together a list of Audi models suitable for any lessees budget anywhere from £200 to £2,000 a month. With the night drive home a fading memory, it’s maybe not the most opportune time for the UN Economic Commission to be investigating how bright and dazzling LED lights on new cars are but that’s what they are doing. The UN Economic Commission for Europe is looking at ways of limiting the brightness and dazzle potential of current LED headlights. Do you think they're too bright? Jackson Pollack eat your heart out. Spare a thought for one Frenchman who had a bit of a mishap with his Audi A1. We’re not exactly sure what caused this but he politely asked (for those of you who don’t parlez vous Francais) how he could get paid for product placement while his burn recuperated. With plenty of plaudits to its name and seemingly everyone a fan, Howard Ritchie needed to see what all the fuss for the Skoda Kodiaq was about. Setting forth in a 2.0d DSG 7-seat model, Howard took in the sights and sounds of Stanton House Hotel in Wiltshire before getting in some countryside mischief. Looking forward, we were recently at the launch of the new Mercedes-Benz A-Class ahead of its imminent UK release. 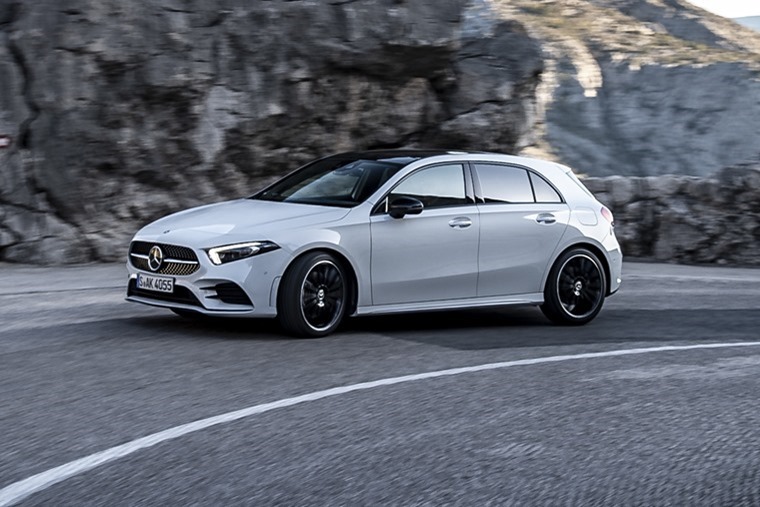 Evolution more than revolution, the new Mercedes A-Class offers drivers an impressive amount of connected and interactive technology. With its its class-leading refinement and comfort, needless to say it's lost none of its appeal. The nice weather always gets us hankering to go on a long drive as nothing beats the open road with a bit of sunshine and tunes blasting. 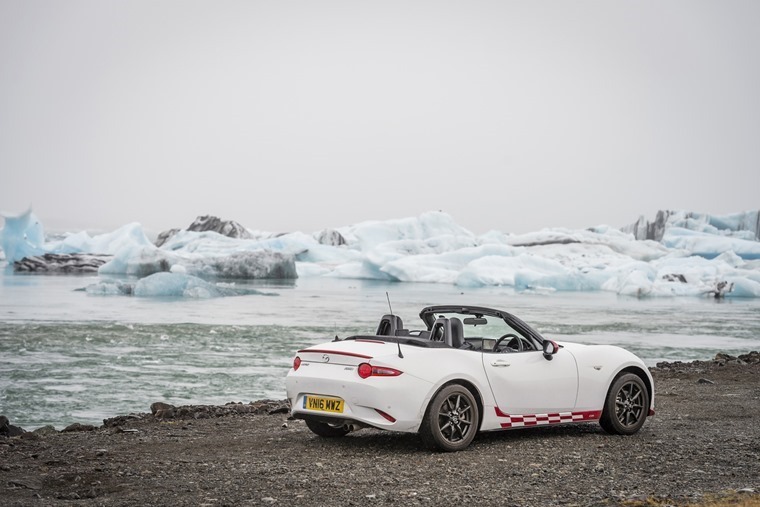 No road trip in the UK can possibly compete with the time Al Suttie got to drive a Mazda MX-5 Icon special edition all the way around Iceland though surely? With 850 miles to put on the clock of this limited edition model, the grandiose scale of the country threw up sights as varied as the capital city of Reykjavik, rolling coastal scenery, mountains, thermal springs and icebergs. Even better, there was hardly a car on the road the whole trip..
On This Day in 1897 Ernest Estcourt took delivery of the first ‘production’ car from the Daimler Motor Company in Coventry. He then proceeded to drive it home to Hampstead in London. “So what?” I hear you shout. Well it was 1897 wasn’t it, so his journey took over 10 hours thanks to frequent stops for meals, water and fuel. Makes you wonder what all those people worried about the range of electric vehicles are scared of.